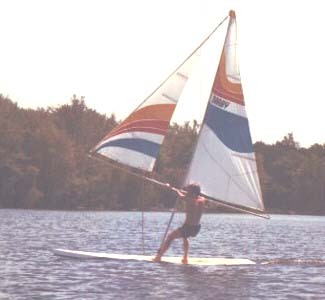 Naomi Albrecht on Sailboard - Doing a turn using the sail without a rudder. Off the first roll of film taken of anyone sailing this way. 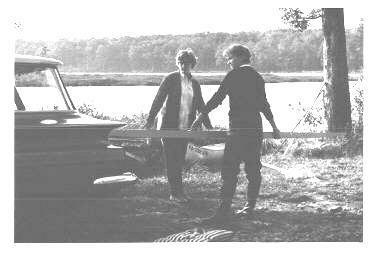 Trailwood Lake, PA. 1964 Photo by S. Newman Darby. 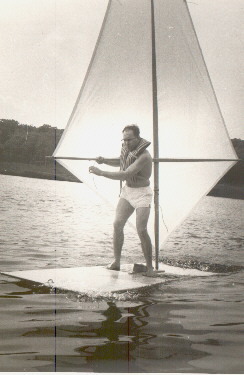 Newman Darby on an antique kite sail they made over the winter of 1964-65. Sail area 58.5 sq ft, dacron sailcloth. 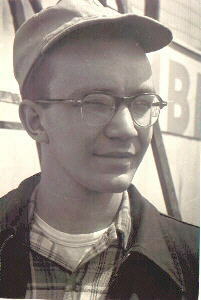 Photo taken in 1965 by Namoi Darby. 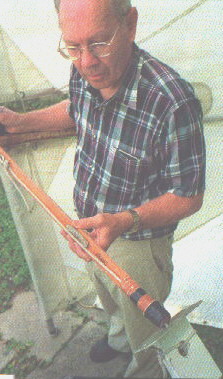 Kenneth Darby, JR. 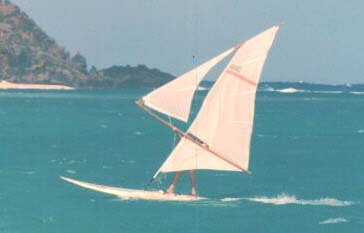 Testing a Sloop rig designed and built by S. Newman Darby. Photo by Naomi Darby about 1981. 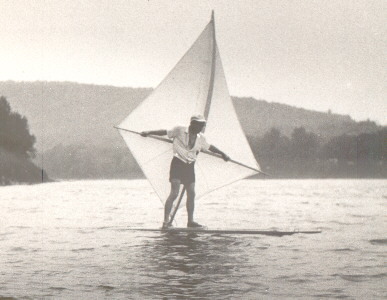 Wendy Darby on 10' (300 cm) Sailboard designed and build by S. Newman Darby. Photo by Naomi Darby. 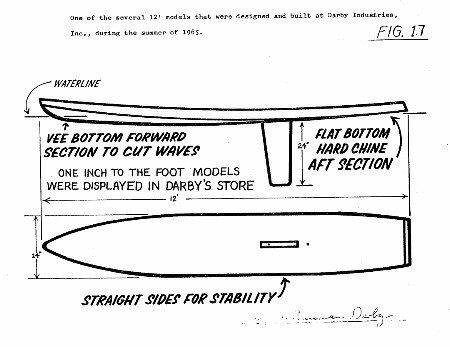 One of the several 12' models that were designed at Darby Industries, Inc., during the summer of 1965. 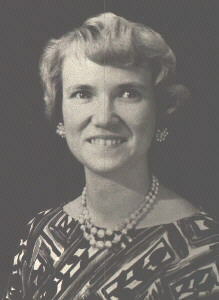 Naomi Albrecht 1Naomi helped build the first Darby Sailboard and made the sails. 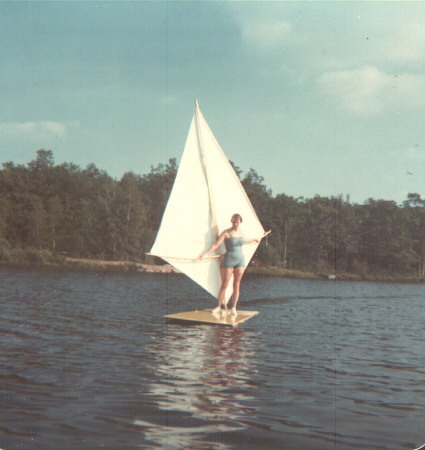 She was the first woman to sail a sailbaord and wrote and printed the first instructions on how to sail a sailboard. 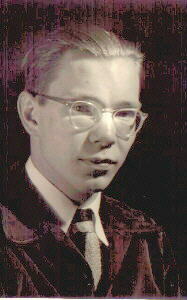 Picture taken in 1964.